The Istanbul Stock Exchange, or ISE, launched a participation index, made up of equities that adhere to the principles of Islamic lending, at a ceremony Thursday. The main reason for the creation of the participation index is to offer a special Islamic and domestic index “suited to the customer profile of participation banks,” according to exchange officials who spoke at the ceremony. Pointing to the rapid and steady growth of Islamic banking in Turkey since 2004, Fahrettin Yahşi, chairman of Turkey’s Participation Banks Association, or TKBB, said the participation index will be an important service to provide standardization in the sector. Yahşi is also the general manager of Albaraka Türk, majority-owned by the Albaraka Banking Group. The new index was established according to the “customer profile” of participation banks, Yahşi said, implying an approach to financial affairs that adheres to Islamic rules. “Such a service has never been offered before in Turkey,” he said. 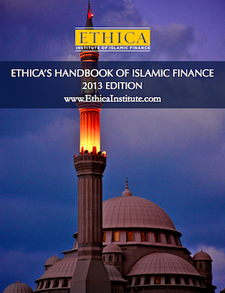 The index includes companies that have financial operations on a non-interest basis, as Islam forbids interest. It also has incorporated various companies that do not produce alcoholic drinks and are not involved in gambling, pork meat, tobacco products, tourism,entertainment, media, advertisements, weapons, interest on gold and foreign currency trade. The participation index has become a necessity as the volume of interest-free investments and the purchase and sale of securities compatible with participation banking principles have surged, according to Avşar Sungurlu, deputy director of Bizim Securities. Companies that become part of the index are also over a certain size, according to Sungurlu. Bizim Securities has taken the responsibility for updating the index, adding or taking out companies if it becomes necessary. ISE Chairman Hüseyin Erkan said the bourse might also establish separate indexes for groups such as holding companies. “After this index, an Exchange Investment Fund will be established,” he said. Birleşik Mağazalar, or BİM, a discount retail chain, is leading the new index, which comprises 30 companies. Other companies in the index include Türk Telekom, Enka İnşaat, Bank Asya, Emlak Konut Real Estate Investment Trust, Ford Otosan, Petkim, Koza Altın, Aygaz, Trakya Cam, Çimsa, Sinpaş REIT, Doğuş Otomotiv, Gübre Fabrikaları, Albaraka Türk, Türk Traktör, Bagfaş, Mardin Çimento, Akçansa, Adana Çimento and Pınar Süt. In regards to sectors, the trade sector makes up 21.3 percent of the index, followed by communications with 16.6 percent. “We aim to be a domestic participation index. But at the same time we want foreign investors to benefit from this index,” Sungurlu said. The index will be traded on the stock exchange under the KATLM ticker. Bekir Boydak, board chairman of Bizim Securities, Ufuk Uyan, the general manager of Kuveyt Türk, and Cemil Özdemir, the general manager of Bank Asya, signed the protocol on the participation index during the ceremony. This entry was posted in Around the world, Mutual funds and Islamic investments and tagged Islamic Banking, Islamic finance, Islamic investments. Bookmark the permalink.